Now you're ready for the big event! 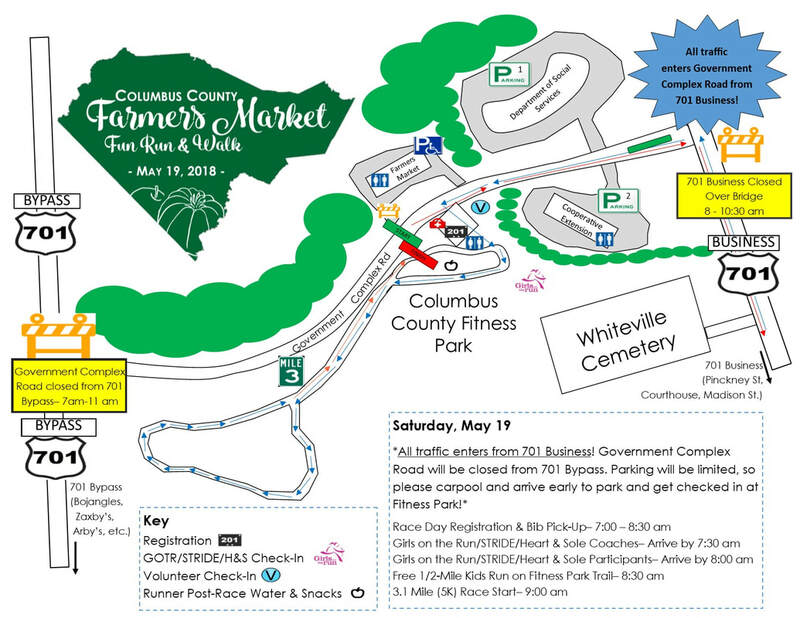 Both events start the new Fitness Park across the road from the Columbus County Community Farmers Market at 132 Government Complex Road, Whiteville, NC. 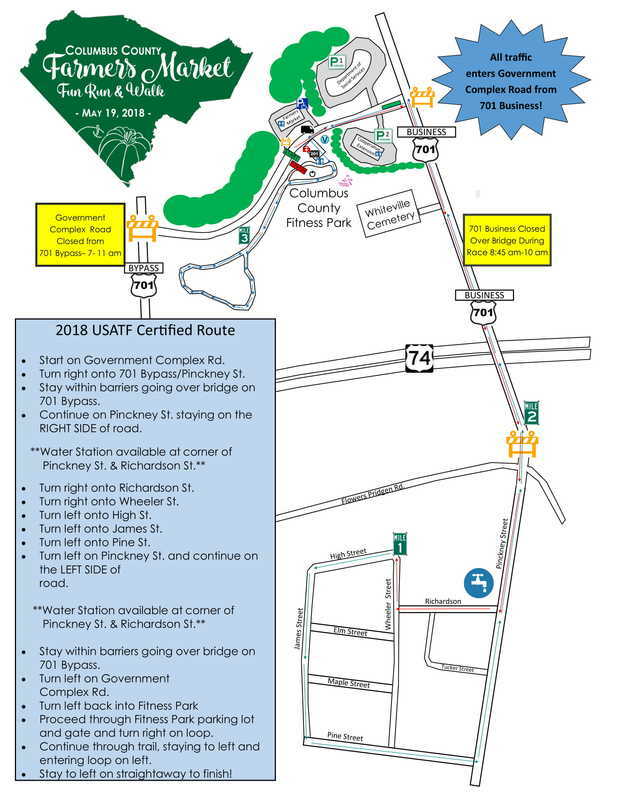 The Farmers Market is open from 8:00 am to 1:00 p.m. See map below for all information about parking and registration. All GOTR/STRIDE/Heart & Sole Coaches need to arrive by 7:30 a.m.
All GOTR/STRIDE/Heart & Sole Students need to arrive by 8 am and check in with their coaches. They do NOT need to stand in the lines with the adults- just check in with coaches. 8:30 a.m.- Free 1/2 Mile Kids Run- No registration required. 9:00 a.m.- 3.1 Mile Run/Walk Start!